Most Texans usually have a few things universally in common; we are quite particular about Bar-B-Que, proud to be Texan in a way that may annoy most non-Texans and we have a deep love of football. I am one of these Texans. Super Bowl is considered a holiday in my house and there is always a party filled with food, drinks, a little wagering and rowdy fans regardless who is playing on the field. Entertaining and throwing a good party is an art. I have had my fair share of great parties and also embarrassing flops, but I am improving with each gathering. Below are a few valuable tips on throwing a great party which I received from Executive Chef Pace of Sullivan’s Steakhouse in Tucson, Arizona. Sullivan's is known for its hand cut steaks and award winning wine list. An expert at preparing meals, Chef Pace also offered to share his delicious cheese steak dumpling recipe. Prior to the party, make sure your guest list is foolproof. While close acquaintances are always trusted invitees, try expanding your horizons – and those of your guests – by inviting mostly people you know, but also allowing for guests of guests. I have found that the perfect ratio to achieve a good mix of old friends and new blood is ¾ individuals you know, and ¼ new friends, in order for guests to feel comfortable, while mingling and meeting fresh faces. Prepping is always key prior to any event, so, as the host, you are not preoccupied in the kitchen or running around as your guests arrive. Prepare all place settings, food and beverage stations, music and entertainment, and other visual displays hours before the party, and leave last-minute food prep for the remaining 1 hour before. Be sure to stock up on plenty of ice for the drinks station. A run to the local convenience store during the party can be embarrassing, and easily be prevented! As guests arrive, my rule is to ensure that each guest has a drink in hand within 5 minutes of walking in the door. Provide both alcoholic and non-alcoholic options, as well as diet varietals at the bar. For cocktail parties, tailgating, and especially Super Bowl, the food and drinks are best to be in the style of a self-serve buffet station and easily hand-held, as to allow for proper cheering, clapping, and other animations from the most die-hard fans. Super Bowl parties often have a flow, so it’s wise to put out dessert offerings from the beginning. Again, I recommend self-serve options and bite-sized sweets, such as festively decorated cookies in the shape of footballs or mini-cupcakes topped with frosting the color of the teams’ jersey. Now, with most parties, it’s inevitable that one or more guests will drink too much, so I have come up with the master solution: designate two friends to be designated drivers. Yes, two: one male and one female. Depending on the situation – i.e. a female who may not be in her most attractive state and would prefer another woman to be the only witness of her ride home; or a man who may rely on another man’s strength to physically get his wobbly self safely home! Of course, we hope for and want to ensure the safety of all our guests, so having a back-up D.D. plan has proven to be very effective. His final tip, and perhaps the most important one: from the minute guests enter to the time they leave, the host should appear as a seasoned entertainer – relaxed, affable, and accommodating – and of course, like you’re having a great time throughout. Because if you follow these tips, you will be! 1.Heat a pan over medium heat. Add butter and onions. Cook slowly until onions are soft and lightly browned. 2. Add garlic and cook until starting to brown. 8. Fold wonton in half, creating dumpling by pressing edges of wonton skin together. 9. In a new pan, heat butter over medium high heat until foam subsides. Add dumplings and cook until golden brown on both sides. 10. Serve with honey mustard sauce. OMG, forget everyone else - I want to make these for me and eat them ALL! They sound amazing. I love snacks like this. Those cheese steak dumplings look so good. I am searching for foods that are different to try to win our family cookoff this year. oh gosh. cheesesteak anything is delicious. i need to make thse! Wow! Those look so delicious. I have to share this recipe with my fiance, especially since we have a superbowl party to go to, and nothing to bring! Oh my goodness those look delicious! I might have to make these for Sunday!! Oh, now those look like a party for my mouth. I definitely have to try these! Those look good! Never thought of doing a cheese-steak type appetizer, but that's a good idea! Those look yummy. Would have loved to see pictures of you filling them up, but that may make me more hungry!!! I love cheesesteak and I love dumplings, but I never thought of combining the two before! Thanks for the great idea! Those sound really good! Since I love steak, I would love to try these. Uh, YUM!!!!! I need to make these this week, I love steak. Man, you had me at cheesesteak! We are hosting the Superbowl party this year. I bet this would be a real crowd pleaser with my guests! What a delicious idea! I had to pin this so I can try it out later on at home. Wish me luck! Oh my goodness these are genius! I'm going to have to make these for sure!! That recipe sounds so unique! Hubby would love that!! Our Superbowl party is very laidback. It's mostly family and everyone shows up with a dish or two and we all dig in before the game. Interesting recipe - we may have to add it to the menu! oooh YUM! These would be in a bowl just for me. Maybe I'll give out one or two for tastings. Maybe I can do something like this for my Disneyside party that's coming up! Those really sound so good and the combination of beef and cheese is perfect. YUMMY! OMG...this sounds amazing. Just the other day I had cheese steak eggrolls at a restaurant and they were amazing. Definitely going to whip these up. Oh this sounds really really good. Hubby would love this and this does make the perfect snack. Thanks for the recipe. I'm on the hunt for yummy Super Bowl snacks for this weekend. 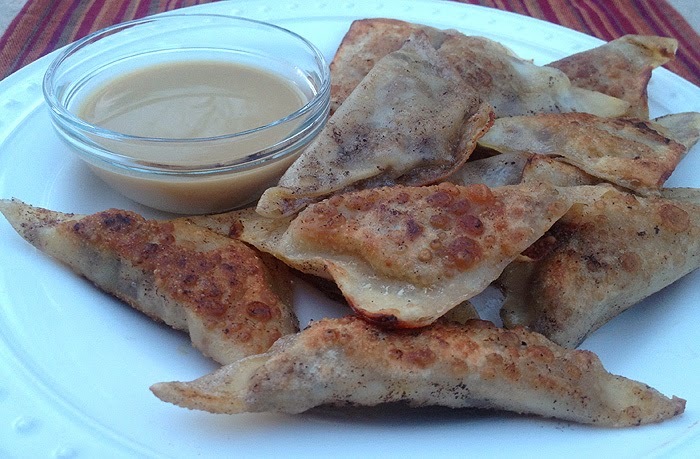 Your Cheese Steak Dumplings look DELISH! Oh my! These look absolutely delicious. I love dumplings you can dip. I was born and raised a Philly girl, Philly being the home of the cheese steak. So of course, the idea of a cheese steak dumpling appeals to me. Those look AMAZING! My fiance would love it if I made those. Thanks for sharing! These look so good! I've only ate these at restaurants never made them myself, put i will try this! These would be a hit in my house. Thanks for the recipe. I may try them for a weekend treat. I'll take 5. No wait, 10! !